The RAD Lab has invited Kate Ladenheim to be an artist-in-residence for 2019 and 2020. Kate will work collaboratively with the lab to develop new artistic work and inform the research, teaching, and outreach activities in the lab with her participation. In this collaboration we are interested in exploring how the gendered normalisms that dominate screens and stages intersect with the diminutive status of being “cute” in the context of robotics. Kate has proposed to study the order, hierarchy, and organized prettiness that features in the stories and personas created for women in popular culture, and subvert these learned aesthetics with her work. For example, Instagram-friendly clearly laid out designs and advertisements often feature smiling, retouched women at the forefront. Often, we say that such women are “cute”. This is a repeated pattern, or motif, in society; what is its purpose and what are its effects? We often say that toy-like robots are “cute” while industrial robots are “scary”. Do technologies that are “cute” signal that they are non-threatening? Are humans that are “cute” non-threatening? How does that change what we think about these machines? Is “cute” a descriptor that can be a kind of reward to be sought out, or is it a label that minimizes and modifies the behavior of the such labeled? Can we quantify this repeated pattern of assignment? Where does this repetition break down and what are the emotional costs of recalibration after failure? These questions, and surely more, will be traversed during this residency through artistic and technological simultaneity where Kate’s work will question the lab’s tools and vice versa. 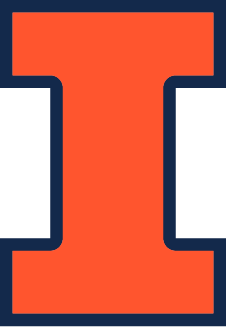 The Robotics, Automation, and Dance (RAD) Lab is located at the University of Illinois at Urbana-Champaign and was founded in 2013 by Amy LaViers. The lab’s focus is on the design of embodied abstractions and high-level control systems for robots with variable and perceptually meaningful motion. In addition to traditional tools in dynamics and control and empirical measurement, choreographic practice and taxonomies like the Laban/Bartenieff Movement System allow the lab to study explicit, conscious strategies of embodiment and human movement creation.